Helpling is the company behind innovative home services platforms available in several countries (including the UK, Germany, Australia and France). 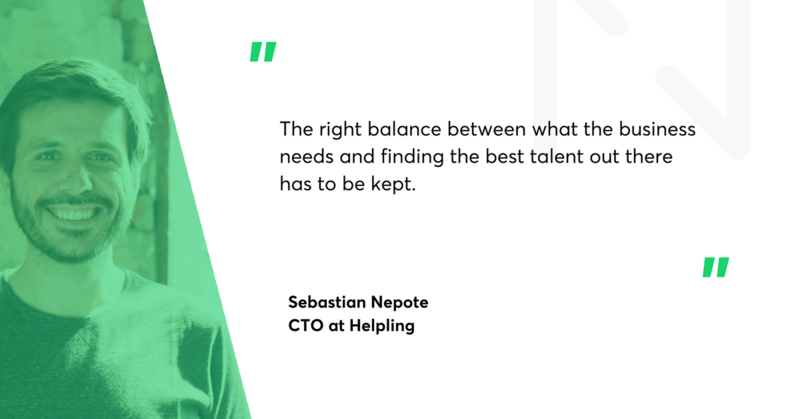 We’ve talked to Sebastián Nepote, Helpling’s CTO, about balancing innovation with sustainable growth at a company with a digital focus operating on an extremely competitive market. Innovation answers this pain point of service platform businesses, but it’s also always a risk. It has to go hand in hand with sustainable growth and stable processes, or else it just might bring a company down. After all, innovation is costly. It can easily become a bad investment if a business focuses on it too intently. At Helpling, innovation is a way to attract top talent. Employees are the most valuable asset of a technology company with a customer-centric focus. Businesses fight tooth and nail to bring the best people on board, and one way to do that is by promising exciting, fulfilling work. Innovation, as a buzzword and as a practice, holds that promise. Helpling is undeniably experiencing fast growth. They are expanding into different countries and moving towards a more complete offer of home services. What’s important is that they’re being smart about it by not falling into the trap of mindless innovation and using tools that help them leverage both their team’s potential and hard data. A/B testing, a fast feedback loop and continuous deployment are all part of that. “The tools make the team independent and faster,” according to Sebastián. Teams that depend on each other to function properly are a problem. They experience unnecessary blockers and end up waiting on each other - an obvious waste. Helpling tries to break these dependencies. They want all employees to be able to achieve their goals, and that’s where their choice of tools comes in. This is also one reason why involving third-party agencies in the development process is a good strategy for Helpling. “We used to do native apps and now we’ve moved to React,” says Sebastián. A native mobile app is costly, but mobile users mean additional sustainability. It’s an example of abandoning a wrong approach and replacing it with something better for the business. Helpling choose projects that make sense, start with using agencies to do the work and only then, when the project proves itself to be valuable, they hire people. Working with an agency is fast. Building a team takes a lot of time and resources, because it’s necessary to explain how to do the job properly. For a fast growing company like Helpling, you need to focus on speed and cost management when innovating. Netguru is a technological partner that helps to make this happen. Helpling is currently working with a product designer from Netguru because it is the best way to accomplish their goals. They conducted tests and research on how to best approach Customer experience, which is central to Helpling’s business. They carefully reviewed their options and did not go for the easiest or cheapest among them, focusing instead of building a real connection with their customers. This willingness to experiment and learn has to be noted, and the same goes for knowing when to abandon a bad idea. It’s important to always look into different possibilities, according to Sebastián. For Helpling, it’s expanding from offering only house cleaning to household services in general. Innovation is easiest and fastest to do with an external agency. You want your internal team to focus on their jobs, and keeping an ‘innovation team’ would be ridiculous, since there’s no way they would have all of the skills that might become necessary in the future. Agencies, on the other hand, are more flexible in their skill set. The downside to this approach are that face-to-face communication is always better and fosters close collaboration. This can be easily addressed with good processes and organisation. This area is always worth improving. Cultural mismatch is also a risk, but in the case of Helpling and Netguru, many of our processes are similar enough that the misalignment is minimal. Innovation can be the key to success, especially in a competitive market. But without a smart approach to innovation, it can do a company more harm than good. The key factor is testing new ideas quickly and efficiently, without committing too many resources and too much time to it. 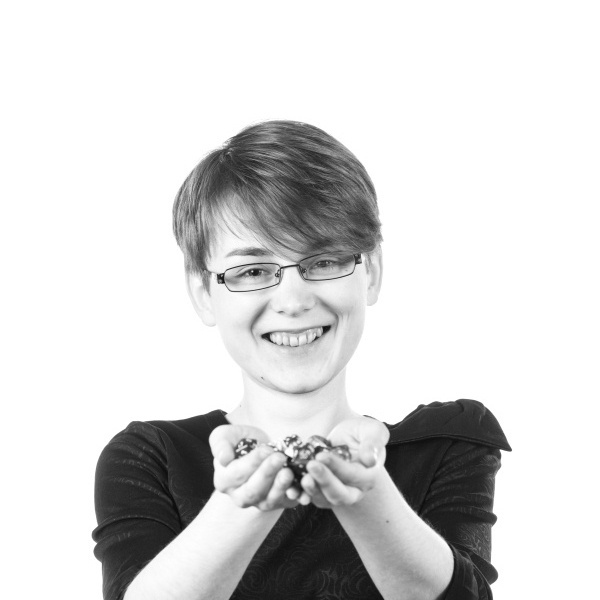 A good way to do it, as proven by Helpling, is engaging an external company and leverage their specialised skill set. Then, once the direction of innovation has been confirmed as a profitable one, investing in an internal team is often the logical next step.